As a part of our sustainability commitment, Valley Forge is dedicated to living and working together harmoniously with our environment. We have made the preservation of our planet and its resources a priority since 2002 by including recycled products in our standard product line that is marketed around the world. Because Valley Forge Fabrics is the world’s leading supplier of decorative interior textiles for the Hospitality industry, we are able to use our influence in the textile manufacturing industry to further the innovation and use of recycled fibers, fibers made from eucalyptus and other botanicals, and recyclable textiles. 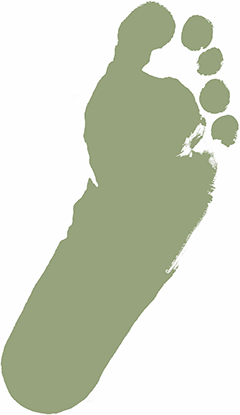 Each year, Valley Forge calculates its carbon footprint to ensure we effectively understand our impact to the environment. While never an exact science, we hope our effort continues to drive more environmentally efficient production processes, and acts as a reminder of the tangible impact shipping our products via air freight has when compared to sea freight. In the past, Valley Forge has offset our emissions through the purchase of carbon credits, which function as a certificate of payment towards an emission reduction project that has been qualified to reduce a representative amount of carbon dioxide from the atmosphere. In the interest of ensuring funds are put to good use, we have decided moving forward to give back through donations to local environmental causes, such as the National Parks Service's Environmental Education and Wildlife and Habitat Protection Programs for the Everglades. We are strong believers that environmental change begins at the local level, and we hope that this change reflects our commitment to being environmental stewards not only for the hospitality industry, but for South Florida, as well. The MindClick MSAP is an annual assessment of suppliers across many different FF&E product categories, which evaluates the sustainable attributes of the end products in a hotel room, throughout their entire life cycle. This life cycle includes everything from design to disposal, focusing especially on a total of four categories and 9 subcategories, which are detailed in the image below. Keep in mind, that within each sub-category, rigid criteria has been established to separate performance, with the higher performers receiving Leader or Achiever scores. An example of this criteria can be found within the Materials sub-category, in which 50% or greater of sustainable raw materials (i.e. recycled, rapidly renewable, organic) receive a Leader score, whereas 1-49% sustainable raw materials receive an Achiever score. Unlike other certifications and eco-labels, simply checking a box is not enough; you must instead provide supporting documentation to back up your claims. Upon receiving back completed questionnaires and supporting documentation, the MindClick team cross-references the data with supporting documents, scores suppliers on each sub-category and category, and then publishes a report to each participating supplier with the broken-out results, as well as recommended steps for improvement. At Valley Forge, the results of this assessment is a very serious ​part ​of our culture. Our mission is to ​"impact the happiness of travelers", and_​ we understand ​that ​our product offerings, the materials used to create them, and our production environment affect all of you. Our overall results for 2017 range from Starter to our Living Fresh Linens being indexed as Leader. 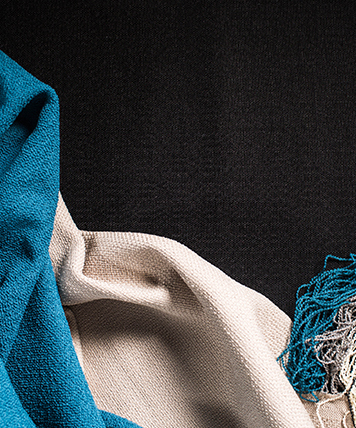 FRESH® is an acronym for Fabrics Re-defining Environmental Standards for Hospitality. FRESH® fabrics are 100% recycled content - no blends. Because of their unique construction, FRESH® fabrics are recyclable. We have established a reclamation service, that will transport FRESH® fabrics to a recycling facility, at the end of their lifecycle. We are the only textile company to date that has a reclamation program in place to facilitate the recycling of all FRESH® products. Making a recyclable product is important, but without offering our process, hotels would have no way to actually recycle. We will take back FRESH® product and recycle it for various end uses that today's technologies allow. We currently recycle FRESH® product into blankets, foam for pillows, plastics for car interiors, and various other plastics in the open market. Valley Forge will pick up FRESH® fabrics from the property loading dock and deliver them to one of our fabric recyclers. We will select the fabric recycler closest to the property. All FRESH® products can be identified by labels with the recycled symbol, and an "F" to clearly identify them as recyclable products, with an established reclamation program. The "F" inside the symbol stands for FRESH®. What are Proposition 65 warnings? You may have seen the following warning on products or items you have purchased; WARNING: This product contains chemicals known to the State of California to cause cancer and/or to cause birth defects or other reproductive harm. This warning is a result of California’s Proposition 65. To be clear, Proposition 65 does not ban the sale of any products containing these chemicals; it only requires the warnings. Over 800 chemicals have been listed under California law. Prop 65 standards are among the most stringent standards in place anywhere and are often far more stringent than federal standards. You can find the list on the Proposition 65 website. You should always be aware and take heed of all product warnings. Does a Prop 65 warning mean that the product will actually cause cancer or other reproductive harm when the product is used in its typical way? Not necessarily. The listing of a chemical under Prop 65 could be the result of tests on laboratory animals where the animals are fed very high levels of chemicals. Prop 65 standards are often stringent. For example, for reproductive toxicants, the level for warnings is 1000 times lower than the lowest level at which animal studies reported no reproductive health effect. A Prop 65 warning does not automatically mean that products are unsafe. While we believe our products are not harmful when used as designed, we provide the warning as a result of this California law. California has a formal process for adding chemicals to the Prop 65 list. Prop 65 allows chemicals to be listed in various ways, including through reports what are based on animal studies. In many instances, these animal studies involve extremely high dosage of chemicals being ingested. How does the California warnings compare to federal Limits? It should be noted that California product label warning requirements are not usually the same as federal safety requirements. This causes a mismatch between warnings on products sold in California and what is required in the USA. This can explain why sometimes you may see a California Prop 65 warning on a product sold in California but no warning on the same product sold elsewhere. These products are not made different; it is just that Prop 65 warnings are required by California law. We have chosen to provide a warning based on our knowledge about the presence of one or more listed chemicals without attempting to evaluate the level of exposure, as not all of the listed chemicals provide exposure limit requirements. With our products, the exposure may be negligible or well within the "no significant risk" range. However, out of an abundance of caution, we have elected to provide the Proposition 65 warnings. Prop 65 warnings are seen throughout California in a wide range of settings- in restaurants, grocery stores, hotels, schools, hospitals, and on a wide variety of products. In addition, some internet and mail order retailers have chosen to provide Prop 65 warnings on their websites or in catalogs for all their products and for all consumers.